Hair has been a form of expression throughout history; it speaks volumes about the person. But constantly changing hair-dos while maintaining a healthy mane can be difficult and expensive. 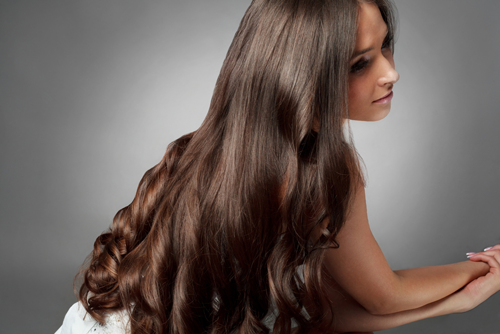 Not to worry though, DIY extensions can provide a needed change without a costly appointment at the salon. They’re good for any occasion, from fancy balls to everyday activities, because of the different styles they provide. DIY extensions are a protective style, too: they allow natural hair to take a break from heat and other daily damage. But best of all? They only take an hour or two to make (depending on skill level)! This type of extension looks the same as a full sew-in, but it’s removable. It makes maintaining natural hair easy, since it can be washed and treated at any time. Note: These supplies can be purchased at local, family-owned beauty shops but not always at chain beauty supply stores. They can also be purchased online. Step 1: Securely place the black stocking cap over the styrofoam head. Sometimes it can be difficult keeping the cap secure while sewing; if this seems to be a continuous problem use wig pins on the perimeter of the cap. Step 2: Thread the needle with about two feet of thread and double knot the end. Step 3: Take the hair out of the package and measure the piece using a head with similar proportions to the one the wig will be fitting. Once the measurements are complete, there are two options: cut the piece or begin to sew it while attached to the bundle. Many people prefer not to cut until the hair runs out or there’s a change in length to get the most out of their money. It’s more time consuming to cut the pieces and sew. Step 4: Be sure to stick the needle through the weft (the seam at the top of the extension pieces) and stocking cap to ensure that the hair is secure. Continue to stitch the wefts to the stocking cap straight across. For the first time, it may be easier to just sew through and around the weft (spiral motion). At the end of each hair piece there’s a double knot to keep the hair in place. Step 5: Once the hair begins to reach the top of the head, it will naturally begin to form a U-shape (hence the name). At this point, decide how big you would like the U to be. The bigger the U, the more “leave out” there will be. For convenience and heat protection, less is more. After the size of the U has been determined, remove the wig from the foam head, take a pair of scissors and cut out the excess stocking cap (negative space). The picture below shows the negative space on the stocking cap (everything black). Step 6: Take the wig clips and sew one onto each corner of the wig. In the back, it’s not required that the negative space on the stocking cap be removed, so the clips can be sewn onto the cap. Step 7: The wig is complete. To wear it, part the front of the hair into a U-shape, leave out enough hair to cover the extensions and use a pin or hair-tie to separate the leave out from the rest of the hair. For long hair, try braiding or putting a low bun in the back; for short hair, slick it down with mousse or it can be left as is. 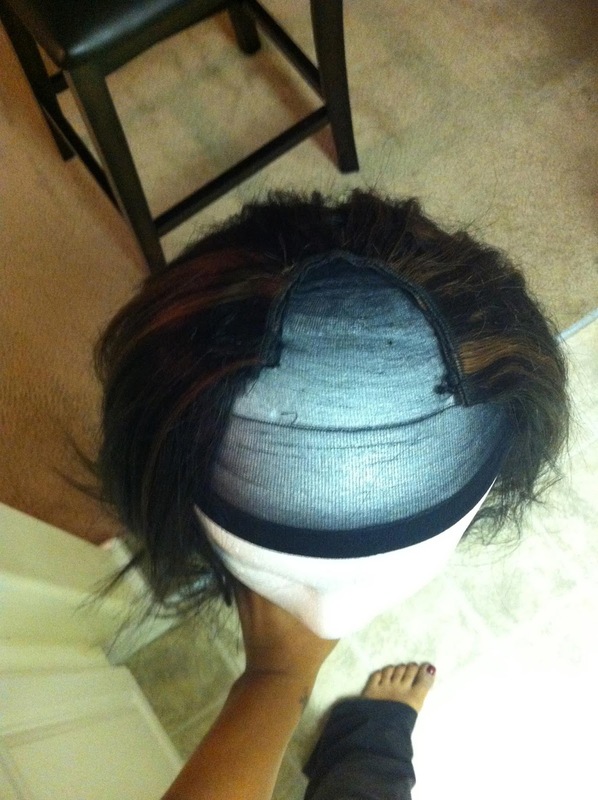 Take the wig, place the combs into each corner of the head (two at a time) and clip them into the head. Unpin the hair left out, blend and style the hair within the U. Extension clips not only add versatility but are also the perfect fix for thinner hair. They can be used to add body to any hairstyle, even a basic bun. Step 1: Once the needle is threaded and double knotted, measure the hair against the head and cut two pieces at that length. Step 2: Put both pieces together, for a full weft, and begin sewing the clips onto each corner of the weft; use the holes on the clips that are closest to the corner. Go through the hole a few times to be positive that it’s securely attached (knot the hole when finished), and move across to the other hole. For longer pieces, add a third clip to the middle. For extra guidance using hair clips, here is a great tutorial on YouTube. When caring for the extensions, don’t forget these rules: quality over quantity (in this case price); quality hair makes a difference -- look at it as an investment. With a higher grade of hair, it can be treated as if it were natural; it can be washed, slept in and straightened (usually 100% human hair, but there are bad brands of human hair). Although synthetic hair can be hard to maintain because of heat and hygiene restrictions, it may sometimes blend better with certain hair textures. When storing the pieces, either place them on the foam head or neatly bundle them and place it back in the original hair bag. Keep these things in mind, and it’ll be hair heaven. Whether adding color, changing the texture or length, there will never be another dull hair day with this DIY project. If there are two major methods of transforming your looks within minutes and with little or no hassle, it is with wigs and human hair extensions. we provide excellent quality Hair Extensions at reasonable prices. With a variety of hair textures to choose from, we pride ourselves in the ability to service a wider range of women. We are committed to selling the highest grade of virgin human hair extensions. in their everyday lives. This is the reason a number of online portals are offering virgin human. There are several types of hair extensions that you can use for styling your hair, but experts have recommended that human hair extensions are the best. Hair extensions are a simple means by which you can style your hair in a way that you have always wanted. With the assistance of hair extensions, you can easily transform your look. A large number of women in United States use Clip On Extensions in their everyday lives. This is the reason a number of online portals are offering virgin human. There are several types of hair extensions that you can use for styling your hair, but experts have recommended that human hair extensions are the best. I love your Three Quarters Wig as they are looking so natural and cute. I would like to some better from collegegloss. In fact , i got such slimier match from- Human hair Wigs that are with good quality and law price.